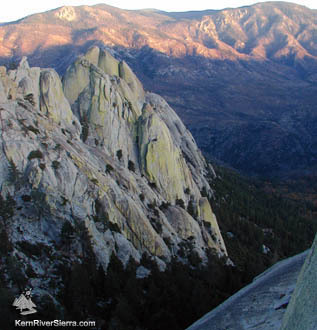 The Kern River Sierra is home to world class climbing. Climbers from all over the world come to The Needles in the summer to experience Yosemite-quality rock without the crowds. 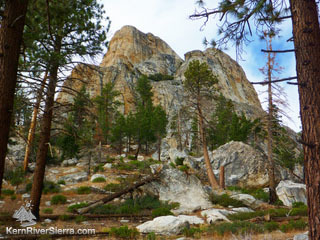 The various Kern River crags and Domelands also offer superb climbing year round. Click here for specific Bouldering Spots or Canyoneering. This page is constantly being updated - check back! The Needles - New Guidebook! Dome Rock - New Guidebook! Hermit & Nomad Spires - New Guidebook! 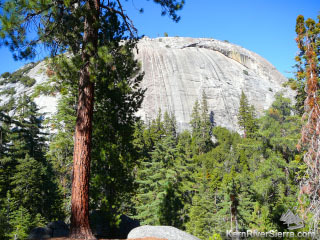 Kern Slabs/Kernville Rock - New Guide! Updated! New Directions Cliffs - New Guide! Updated! Chico Flat Rocks - Updated Feb 2019!